Nani starrer Majnu is all set for September 23rd release and the film is expected to take grand openings, considering Nani’s back to back hits and his stardom post Bhale Bhale Magadivoi. Nani’s films have been doing quite well in overseas, and Majnu has made a very good pre-release business including overseas of about 2.5 crores. Asian films have acquired AP distribution rights for a good amount. 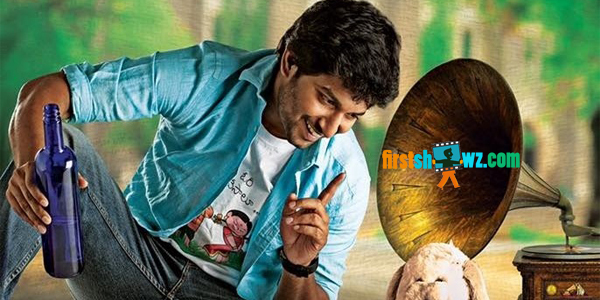 Now the satellite rights of Majnu have been bagged by a leading Telugu channel for a huge price of 4 Crores. Touted to be a breezy romantic entertainer, Majnu is directed by Virinchi Varma and produced by Geetha Golla and P.Kiran under Anandi Art Creations. Anu Emmanuel, Priya Shri played the female leads in this Gopi Sunder musical entertainer.